Jon Faure just sent an email with some great riding pics he took recently at Woodward West. You may remember Jon from a post awhile back called Is this going to be you at 45? or his interview on the Sunday bikes site. At 45 years old, this bike has me doing things I would never thought possible at my age. Especially since I really only started riding 6 or 7 years ago. 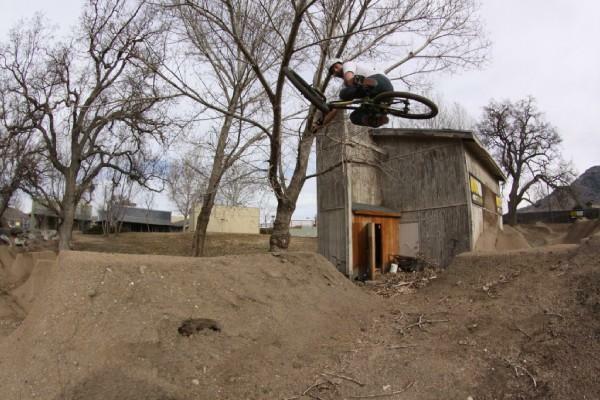 More old guys need to take advantage of these new 24″ bikes. It makes riding so much easier and more fun! I agree with everything he says!I’ve been hyping up the Model-C since I rode one at the woodward reunion this past march.I was trying things on it I wouldn’t even attempt on my twenty.I’ll be forty in 2010 and the Model-C will keep me riding well into my fifties! I agree too that cruisers are way too much fun. I am still in my mid 30s but just ‘re-discovered’ riding after almost 20 years. I hate that i wasted so many years on mtb, as bmx is just so much more fun! I still have a 20, but my 24 gets so much more attention from me. To anyone reading and still on the ledge, GET A CRUISER!!! Sorry Steve, I am no Ron Wilkerson! He’s a legend, I’m just a newby trying to keep up with my son. I met him briefly while riding Woodward West about a year ago. I asked if he would go ride the trails with me. He laughed and asked if I would go ride the vert ramp with him. I declined. 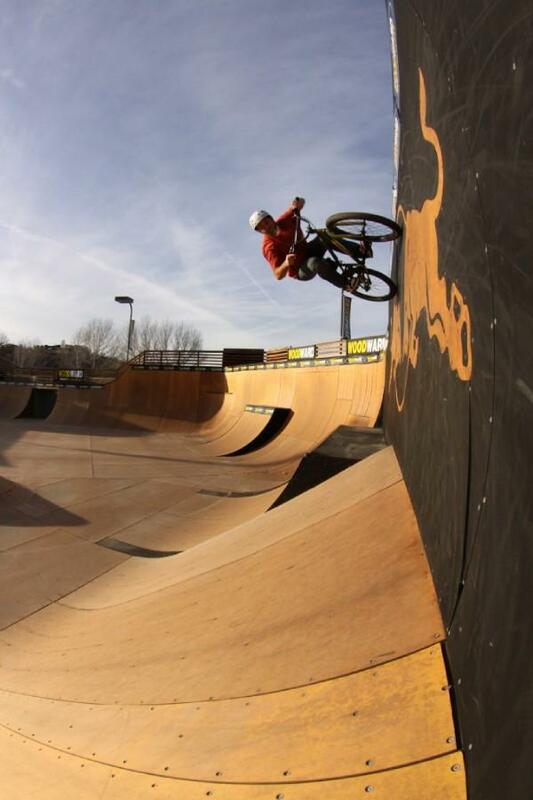 Vert ramps are scary! Do you think there will ever be a cruiser class as contests? Got to ride with him years ago. He was my hero for ever. I was looking around for some footage of someone riding a cruiser on vert and could not find any. I know Brian Blyther used to. I figured some would pop up here sooner or later. I was never a strong vert rider on a twenty ( could do 7 foot straight airs but almost no variations) but I have been thinking of doing it now. All the vert ramps around here are 12 foot though and I was used to 8 to 10. Airing out of a quarter is still something that eludes me. Someday I will figure it out. Or, just have the guts to go for it. Airing is no problem, it’s coming back in over coping that scares me. I’ll have it by the time I’m 50. Jon i hope your getting a kickback from Sunday for all the exposure and inspiration. Keep it up. Ha Ha, wouldn’t that be nice. I’m just kinda stoked I can get a little attention in my old age.